It feels like with every month that passes these two become a little closer, a little more like partners in crime. We see glimpses these days of the tussling and shoving and telling tales that is so much a part of being brother and sister. They want to do everything together, and with that comes inevitable clashes. The cuddling, wrestling and general rolling around together that starts with giggles and tickles, can often end with someone getting a bit cross, fed up or in tears. And strange as it may seem, I really like seeing this side of their relationship grow. We're having to learn to step back as parents, and leaving them to negotiate and fight their own battles a little bit more. But that is part of what I wanted my children to have siblings for; to learn those lessons in compromise, trust and loyalty. Because as much as they can push one another's buttons at times, they are each others fiercest ally and strongest defender. They'll chatter in the car and politely tell us to be quiet if we try to join the conversation, they regularly shout at us if we make the other upset with a telling off, and they run to comfort each other at the first sign tears. Their relationship is the push and pull that all the best friendships are made of. It's crazy to think that in another month's time Siblings for 2014 will be done and dusted, where exactly did this year go? And it's making me kind of nostalgic as I look back over nearly a years worth of photos of my littles. Their relationship was so different at the beginning of this year, their age gap seemed bigger, their height difference was more pronounced. It feels like through this project I've watched their friendship blossom. It's always so lovely seeing everyone else's Siblings photos each month too. I never fail to get that warm and fuzzy feeling as I pop around all the posts. 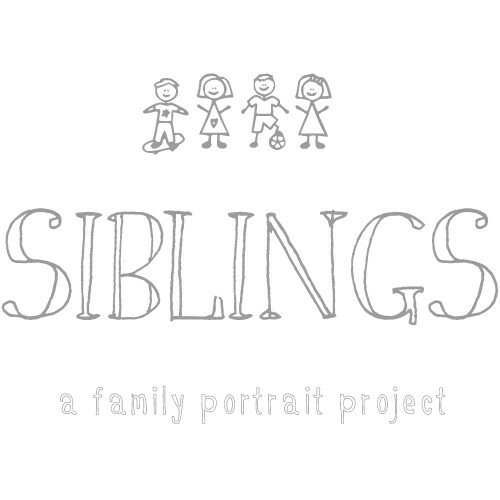 So if you've got a sibling photo to share this month, don't hesitate to link up; we'd love to see it. This month I'm going to send you to see Cherry and Tiger over on the lovely Jess's blog Along Came Cherry. They are another brother-sister-combo that appears to have grown in closeness over the year. I'm sure Jess will have some lovely photos to share. 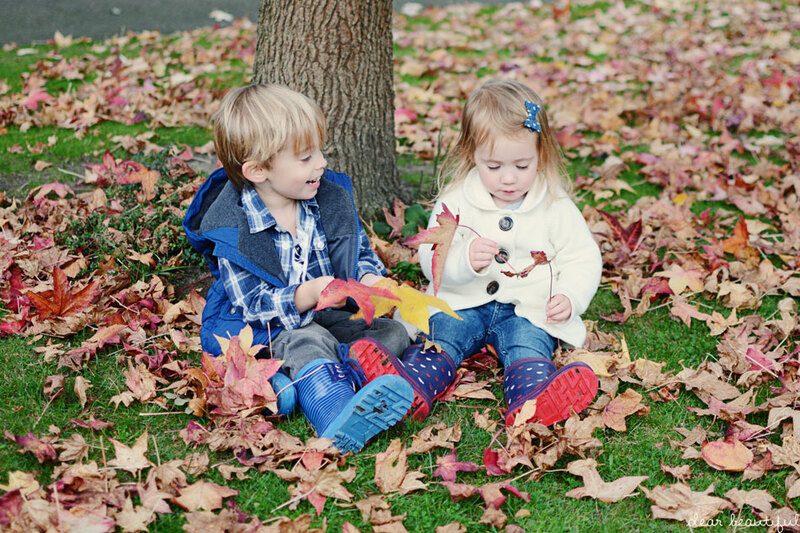 These photos are just perfectly autumnal!! Love them! And the blog looks fab too! Your little lady is so like you... I'm sure everybody says that! They look so sweet together, as always. Loving the new look! Oh they are gorgeous photos, and yes, hasn't the year made a massive difference. I can see it in my biggest two too - though the height difference is still quite pronounced there!! Your two look set to be lifelong friends, even with all the squabbles that go with family life! Lovely outdoor photos! They look so cute sitting there between the leaves :) Thank you for hosting! Gorgeous photos. It sounds like they will be the best of friends growing up and they do need an argument every now and again otherwise they wouldn't be normal! Love the new blog design! And such great photos. I can't believe how crazy this year has been. Seeing so many little kids changing from month to month... it's insane. I've so loved joining in and having this awesome record of my kids through the year. :) And as usual, your photos are just stunning. Oh gosh, what glorious pictures! I love autumn. That first shot of the two playing in the leaves is just divine. Loving your blog's new facelift Lucy — really lovely! Great pics as always too — can't believe the next one will be Christmas themed!! This year has flown by in the blink of an eye. Gorgeous to see how much our tiny people have grown!